Benn Benn has been working in the motor industry for over sixteen years. Benn sold his first car aged just fifteen whilst working for a local dealership on a week long work experience and has since gone on to sell and manage at main dealer level. With an enthusiasm for cars and people, its no surprise that Benn has never not been in the Motor trade. Benn loves music and football, owns two miniature sausage dogs and he can eat virtually anything. 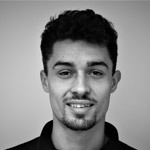 Harry Harry has been in the motor industry for over six years and has quickly developed the trade proficiency over a relatively short period of time. Harry has played semi professional football until injury blighted his career. With an infectious personality and great sense of humour, Harry makes dealing with Holland Motor Company simple, easy and enjoyable. Harry is a terrible cook, can ski and snowboard and is scared of spiders. 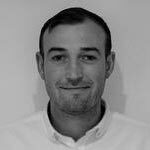 Sam Sam has worked in the motor industry for over 9 years working in 2 large main dealerships and having experience across many brands. Starting at college, aged just 16, Sam soon managed to gain an apprenticeship progressing himself into the industry. 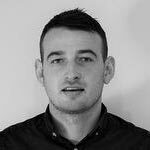 Sam has always had a love for anything mechanical, strives to gain more knowledge and provide the best experience to all of our customers. Sam has a love for boxing, basketball and anything with an engine. He also keeps marine fish as a hobby.